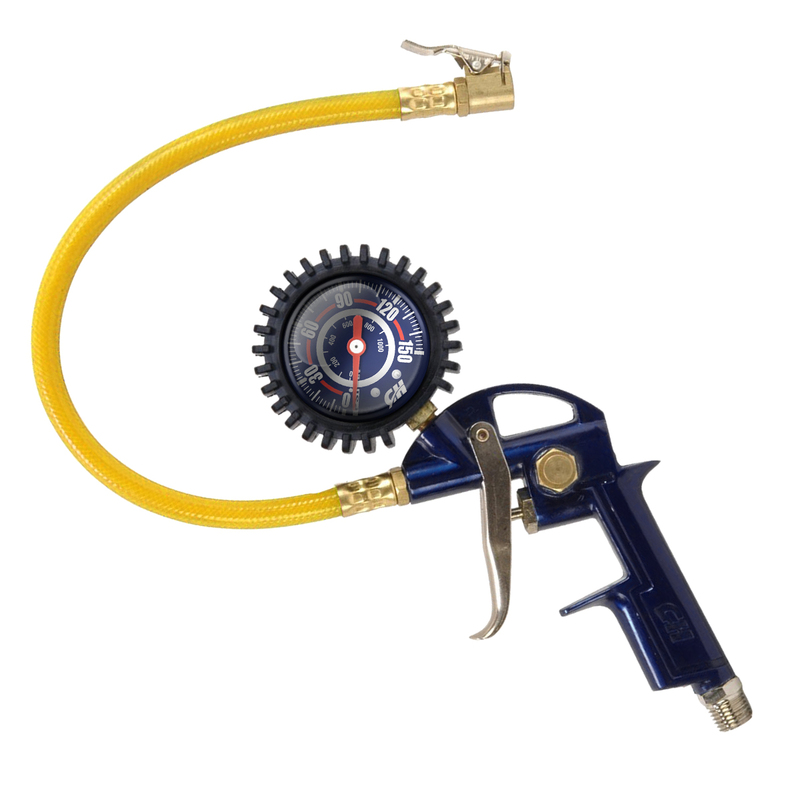 The Campbell Hausfeld tire inflator with gauge (MP600000AV) combines an inflation gun, air chuck and pressure gauge in one convenient unit that’s easy to use — even one handed. A clip on design enables hands-free use of the chuck while inflating tires; the pressure gauge accurately shows the amount of air in the tire from 10 – 100 PSI. If a tire has been overinflated, the built-in relief valve makes deflating easy. Includes a flexible hose to make reaching tire stems easier. Doesn't seat on my valve stems so useless for filling my truck tires.